One of Boehringer Ingelheim’s central aims is to strengthen the dialogue between healthcare professionals (HCPs) in order to stimulate learning by collaboration. 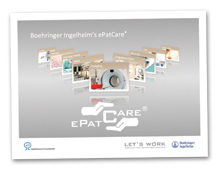 Boehringer Ingelheim and infill Kommunikation have therefore developed ePatCare®. 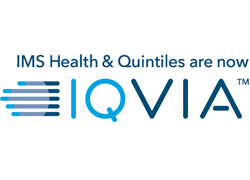 This innovative software tool was specifically developed for HCPs and is an interactive and unique tool for creating, viewing, sharing, and presenting clinical patient cases. Using their iPads, Android tablets, Macs and PCs, HCPs can create their own cases or view those contained in the ePatCare® patient case library. The ePatCare® library consists of anonymised, real-life cases supplied by experts worldwide. Information is stored in one convenient location and is accessible via the ePatCare® cloud. The intuitive handling of the software facilitates a well-structured and clear presentation of patient cases for discussion with colleagues and tutorials with students. Features like picture enlarging, panning, swiping, and pinching capture the dynamic use of new technology, and the introduction of “viral medical education” has enabled widespread use of ePatCare®, free to users and without expensive advertising costs. ePatCare® has been highly praised by users, experts and societies. Two international oncology societies as well as several other indication areas are adapting and using it for their own patient cases. An outstanding example of innovation well executed in the medical education space with global implementation and engagement.